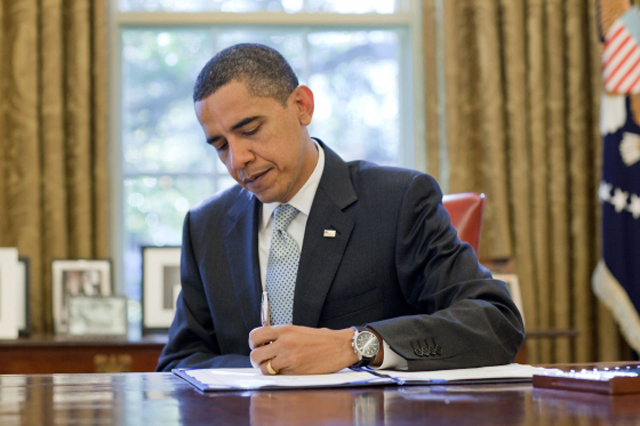 On March 10, 2016, President Barack Obama signed into law bipartisan legislation to protect federal correctional officers. The Eric Williams Correctional Officers Protection Act provides that the Bureau of Prisons must issue non-lethal pepper spray to guards in medium- and high-security prisons as a vital tool to defend themselves against potential inmate attacks. On Feb. 25, 2013, Correctional Officer Eric Williams was brutally murdered by an inmate while working at the U.S. Penitentiary at Canaan in Wayne County. Officer Williams was working alone in a unit housing nearly 130 inmates and was only equipped with handcuffs, keys and a radio when the inmate stabbed him with a prison-made weapon 129 times. He was 34-years-old. Seeing the need for change, Senators Pat Toomey and Bob Casey of Pennsylvania introduced the Eric Williams Correctional Officer Protection Act on Jan. 22, 2015. The U.S. Senate approved the bill in December 2015 and on Feb. 24, 2016, the U.S. House of Representatives also approved the bill without any opposition. In a previous interview, Eric’s parents, Don and Jean Williams, said they were thankful the bill was created in honor of their late son and that they hope the impact of the bill will increase the safety of all correctional officers. Teamsters Local 700 represents more than 5,000 members who work in the law enforcement community across the state, including approximately 3,500 correctional officers at the Cook County Department of Corrections and nearly 200 correctional officers at the Lake County Jail.